As you all know, Windows 8 gives a lot of advantages for the developers, specially entrepreneurship a good platform to compete with grand scale products. It was Apple who introduced it and Google who ruined it with rubbish apps and now its Microsoft who comes with certain quality requirements and specifications that an app must fulfill to be featured in the Windows store. As same as in all other platforms, there are few key areas that you need to concentrate on if you need a killer app to be put in. User Experience - It is not only about the user interface with attractive colors and tiles, but the navigation, placements and many things come into account when consider the user experience. Functionality – Might be the most important as it need to be rock solid. Microsoft make sure the apps submitted by you meet certain criteria by a certification process which has become quick recently. Here I am planning to mention the right way of submission and few key mistakes which me and many other developers have made. Sooner you create the app package, Windows prompt an app certification kit message to validate Technical compliance of your app. One of the common mistakes which I have made is the background and foreground aspect ratio being less than 1. 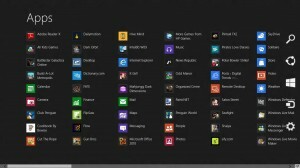 Windows 8 store certification is followed up with a manual test for the content compliance. Most of the foreign testers will not see a value of your app if you do not declare that. If your app has a sign in option, provide credentials of a dummy account so the testers can use it. You need to write an attractive yet the correct description about your app. Testers make sure that the app delivers the value which is promised in the description. Here are the most basic yet important mistakes that you need to avoid.